using and editing music so that audiences are emotionally manipulated to feel what our members want them to feel from moment to moment. 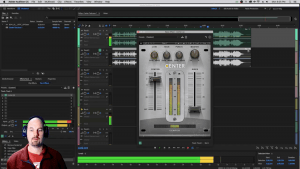 Unlike other education programs where you’re left to yourself to figure things out, Cinema Sound purchasers have direct access to the main instructor, Mark Edward Lewis via e-mail, his live show and via the Cinema Sound Facebook Group. 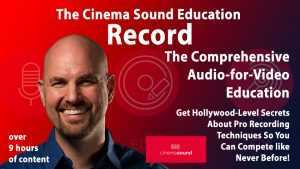 If you don’t purchase the Cinema Sound education, you’re already behind everyone else. 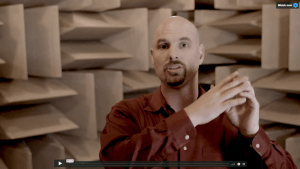 View the credits for the Cinema Sound audio education series. Cinema Sound has joined the MZed Pro membership! That means that for less than 83 cents a day, you get access to not just the entire Cinema Sound training course, but a total of more than 150 hours of the highest filmmaking and photography training to stream anywhere, anytime! Become an Mzed Pro Member now and enjoy the whole 85+ hour education for less than $.83 a day!